Orbital Access is developing the Orbital 500R launch system to enable a high growth revenue service delivering small commercial orbital payloads to low earth orbit. We want to create a targeted commercial space launch service business with global operational outlets where we deliver small payload horizontal launch services and other related space services to satellite service based businesses and other space mission customers. With the support of the UK and European Space Agencies we are developing the launch technologies and systems utilising a broad and capable supply chain of specialist technology and capability suppliers. The Orbital 500R is a two stage to orbit satellite launch vehicle that is capable of delivering payloads up to 500kg. It is a globally deployable air launch system that will be available to the global market by utilizing the growing network of horizontal take-off spaceports around the world; providing access to global customers in their own geographies and able to serve different commercial applications that require the full spectrum of orbit inclinations. Our vision is of a global commercial horizontal space launch services company providing responsive affordable and capable access to space over many decades through a strategic roadmap of technological development exploiting the existing platform of decades of capability development in the UK, European and International aerospace industry. The funding will be for the development of a new re-usable satellite launch system to service the needs of the “New Space” commercial customers sending satellites and payloads to low earth orbit. Orbital Access Limited was founded by Stuart McIntyre, the grandson of Group Capt David McIntyre who was one of the first pilots to fly over Everest in 1933 and founded Prestwick Airport and Scottish Aviation in 1935. Prestwick Airport is a principal location in the UK where new horizontal launch spaceports are to be sited. 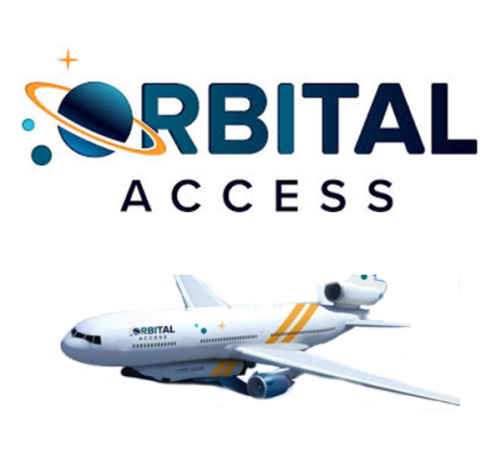 Orbital Access Limited is specialist launch services business established in 2015 based at Prestwick Airport in Scotland. Orbital Access aims to design launch vehicles to accommodate the growing small satellite industry; with a future technology roadmap to keep pace with the inexorable development of the space access industry. While conventionally rocket powered initially, in the future our systems aim to exploit new technologies such as the UK’s Synergetic Air-Breathing Rocket Engine (SABRE). These challenges are met by an industrial consortium led by Orbital Access as the principal commercialization and implementation partner. This industrial consortium is known as the FSPLUK (Future UK Small Payload Launcher). We plan to do so under the oversight of the UK and European Space Agencies with funding support from those agencies and associated Governments complementing private investment made through Orbital Access. We aim to deliver our services from horizontal spaceports globally and in collaboration with relevant national and international agencies around the world. We envisage space launch becoming commonplace from horizontal spaceport worldwide utilising modern re-usable systems servicing the burgeoning new space industry with launch, servicing, resupply capability enabled by Orbital Access systems and commercialising a vibrant industrial workspace in low-earth orbit. You will receive a bottle (or Case of 12 bottles) of exclusive Orbital Pioneer branded craft gin distilled in Scotland. You will receive complimentary hospitality tickets to the event marking the first launch of the system. The number of tickets will depend on the amount invested. As an investor your name and photo will be included in the graphics on the first Orbital 500R launch vehicle. The prominence of your inclusion will be scaled according to the amount you invest. Your name and image will be included in the credits on the launch video documentary that we intend to produce to document the development and launch of the system. You will receive a personalised copy of the launch video documentary. You will receive an exclusive personalised high-quality 3D stand mounted model of the Orbital 500R vehicle. These will be updated and re-issued to you on completion of each subsequent design stage (definition, preliminary design, final design, prototype, first commercial flight). This will allow you to collect a unique set of each design iteration through to final design. You will receive a discount on Orbital Access merchandise that will be available for sale through our website. The level of discount will depend on the level of your investment. You will receive VIP passes to the executive hospitality event marking the first launch of the system. You will be invited to attend an annual project presentation which will take place during an exclusive principal investor event to be held at a location of space industry significance. We anticipate events taking place at ESA, at Kennedy Space Centre, at Houston Space Centre amongst other locations. We will aim to coincide these events with activities of relevance including launches. Exclusive to Principal and Partner investors, will be either a giftable and tradable voucher entitling the holder to a 20% discount on the standard launch price for up to 100 kilograms of payload on the Orbital 500R system. This may be gifted to either commercial or academic customers. This is limited to one voucher per investor and will be subject to the completion of normal contracting with the customer and all associated permissions and approvals. or you will be issued a giftable and tradable voucher entitling the holder to fly a 20kg Microgravity experiment or 20kgs of suitable material to and from Space. This voucher may be used for commercial or academic purposes and is tradable. This is limited to one voucher per investor and will be subject to the completion of normal contracting with the customer and all associated permissions and approvals. You will have exclusive access to name one of the first ten launch vehicles or launches. These rights are also giftable or tradable. Limited to one per investor (max 20). You will be able to sponsor and brand the chase aircraft for the first ten launches. 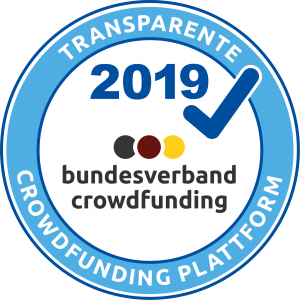 An exclusive offer for a single investor willing to invest a minimum amount of €500,000 to become the development program title sponsor. This will be subject to the completion of normal contracting with the customer and all associated permissions and approvals. As Principal investor you will have exclusive branding on one of the 8 surfaces of the Orbital 500R’s first launch. You will have an exclusive opportunity to send your very own payload, up to a mass of 100g, into space and back. This is subject to company approval and geometric limitations. Orbital Access Limited is owned and led by Stuart McIntyre. 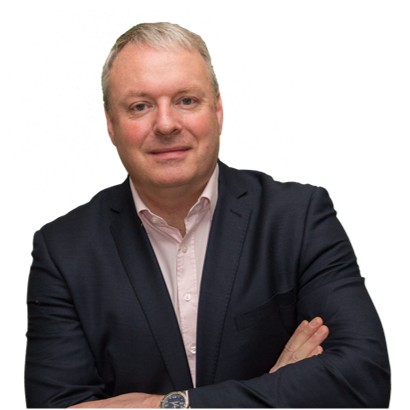 Stuart is a degree qualified aeronautical engineer whose career has spanned 17 years in a range of aerospace and defence positions predominantly in marketing, business development and sales within British Aerospace and BAE Systems. Stuart has also spent a significant portion of his career (8 years) in private equity financed medical device development as owner and CEO. Following the sale of the medical device business to a US mid-cap acquirer in 2013 Stuart developed a successful aerospace and medical device consultancy Nelson Russell Limited delivering support amongst others to Qinetiq in new technology international market launch. 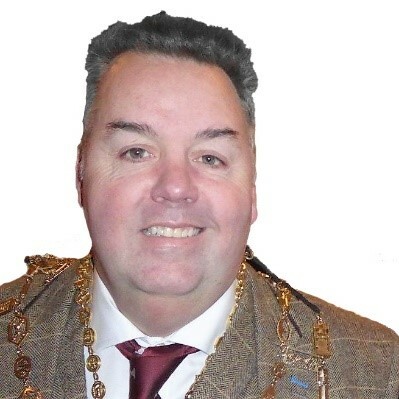 Stuart developed a close involvement in the space industry through a recent role leading the preparations of Glasgow Prestwick Airport for engagement with the UKSA, CAA/DfT UK Spaceport selection programme. During this period, he identified the evident global capability gap in terms of small payload launch systems and service providers. A gap that will inhibit the success of the UK Spaceport programme (irrespective of location) if not closed. Chris has extensive general management and commercial experience working in international markets, as well as broad non-executive experience in construction and support services. He had a long and distinguished executive career in the defence, electronics and aerospace industries. He was Group Executive Director, UK and Rest of the World and prior to that Joint Chief Operating Officer, BAE Systems plc from 2002 to 2007 where he was also a main board director. He also worked in a series of senior executive roles at Airbus and British Aerospace over a 34 year executive career. He has a wealth of experience of complex, international companies, operating with large distributed workforces across Europe, Asia-Pacific and Africa. He is a Fellow of the Royal Aeronautical Society and past President of the Society of British Aerospace companies. 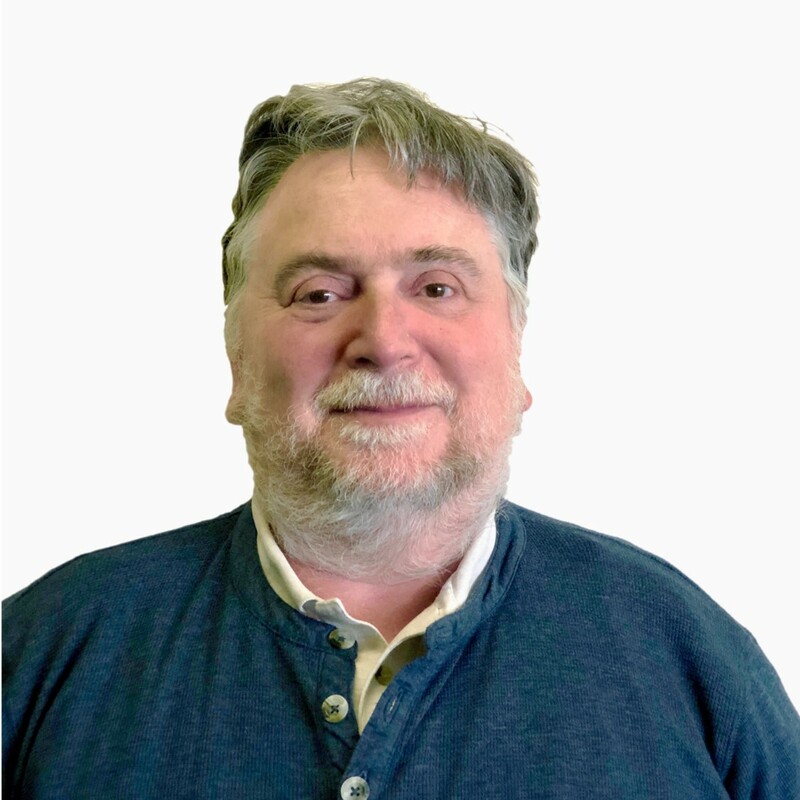 Bernard Farkin is our Head of Research and Development. He functions as Programme Manager of our ESA and UKSA R&D Projects as well as our Microgravity and Human Spaceflight Conditioning Programme. Bernard has worked for more than a quarter of a century in the space domain and related areas. His background is in neuroscience and human factors engineering, specialising in underwater and microgravity operations. He has gained and will share his experience in project and programme management of European Space Agency and European Commission projects, both as an ESA staff member (at ESA/ESTEC), in industry (at ESTEC as well as ESOC) and in academia in the areas of Human-Machine Systems, Space Operations Simulation and Safety Engineering as well as Ground Infrastructure for human and robotic spaceflight (Hermes, Columbus, Rosetta, Mars Express). In addition to managing ESA Technology Transfer projects in Virtual Reality and Intelligent Agents, Bernard also provided astronaut candidate training in microgravity operations and performed human factors experiments during parabolic flight. 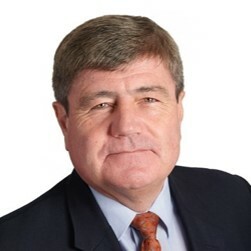 Colin Botfield is our Financial Director and has 25 years’ experience in accountancy, audit, tax, management consultancy, corporate finance transactions, public company work, business planning, international advice, performance appraisal, compliance, general management, non-executive director, advising boards of well-known companies in UK, Central Asia, North America and Europe. Acted for several start up and established distilleries, many finance raising projects, business plans, structure. Advise on distillery sector, IT/Software, health care, oil and gas sector and technology specialist. Qualified as Chartered Certified Accountant in 1993, Chartered Internal Auditor 2005, Member Chartered Securities Institute 2008 Chartered Management Institute Level 5 2014, Statutory Auditor since 1996. The Orbital 500R launch system offers a multipurpose suborbital spaceplane that contains a customizable payload cartridge that can be tailored for the role of each launch mission; supporting applications ranging from manufacturing in a microgravity environment to delivering satellites into orbit that support the space industry. The launch system is also designed to be ITAR free and compliant with the MTCR Class II criteria, which supports the global reach of the commercial launch service that Orbital Access aims to provide. The mobile air launch platform allows the whole launch system, including equipment and crew, to be transported to the location specific to the launch mission and customer; this ability also permits access to most orbit inclinations that allows a greater market share. The suborbital spaceplane is carried by a McDonnell Douglas MD-11C without any modifications to the airframe, which brings down the development costs. The wide body carrier aircraft between launch missions will also serve as a specialist freight service. Throughout the development process the Orbital 500R launch system has been designed to be commercially viable at a cost price of $30,000/kg. To achieve this, an extensive study was carried out to determine the costs associated with each launch. In parallel, Orbital Access produced the FSPLUK Satellite Market Assessment that forecasts the satellite industry to 2036. This lead to a design optimized for the changing market trends at a price that is accepted by consumers. The Orbital 500R is an air-launched autonomous two stage to orbit satellite delivery vehicle that is comprised of a 1st stage suborbital reusable spaceplane and a number of expendable 2nd stage rockets within the spaceplane fuselage; the 2nd stages are house in a customizable payload cartridge that is capable of carrying up to 500kg. Both launch stages are carried to a 43,000ft launch corridor over sea in order to comply with local and national regulatory bodies while reaching orbit inclinations specific to the launch mission. The spaceplane is mounted to a wide body carrier aircraft that is also capable of transporting the launch system, ancillary equipment and crew to the locations also specific to the launch mission. During a typical flight cycle for orbital insertion, the carrier aircraft will depart from the local spaceport to a predetermined launch corridor, where the launch sequence will then be initiated. During operation, the 1st stage suborbital spaceplane is mounted ventrally to a hardpoint on the MD-11 carrier aircraft. The 1st stage vehicle will be mated with the carrier aircraft from two streamlined pylons on the carrier aircraft undercarriage that, together, have four brackets which carry the suborbital spaceplane whilst avoiding the 1st stage cartridge bay. The 1st stage will also be supplied electrically and the propellant will be actively replenished to account for any LOX degradation. These transfer mechanisms will be active to control the system centre of gravity as well as conducting final system checks before 1st stage release. The modified MD-11 carrier aircraft will carry the suborbital spaceplane to an altitude of 43,000ft over the sea, where the system will begin to enter a designated launch corridor. The launch system will then maintain an economic flight path until the 1st stage is ready to be launched. Once the launch sequence has been initiated, the suborbital spaceplane will be monitored and controlled from mission control, once the vehicle has went through the pre-launch check lists it will be dropped from the carrier aircraft undercarriage. The carrier aircraft will then continue to a supporting runway in order to meet and retrieve the 1st stage after the launch mission. After the 1st stage has been deployed, the suborbital spaceplane will ignite and ascend to 80km. During this phase of the flight cycle, the spaceplane telemetry will be monitored from the mission control centre supported by a number of ground based tracking centres; the vehicle will follow a trajectory suited to the launch mission and the payload contents will not exceed an axial load of 6G throughout the orbit insertion. At 80km, the 1st stage vehicle will be positioned to eject the 2nd stage/s. During the upper stage deployment, the 1st stage cartridge will extrude from the fuselage in order to eject the 2nd stage/s; the respective motor/s will then ignite to ascend away from the 1st stage spaceplane. From here, the 1st stage spaceplane will descend and land at a suitable runway. The 2nd stage/s will simultaneously climb to a maximum altitude of 1,200km depending on the payload mass within; each upper stage will be controlled and monitored from the mission control centre. Once the payload has been inserted in to orbit, the 2nd stage/s will be guided back towards a destructive atmospheric re-entry in order to mitigate in-orbit debris. Prior to the 1st stage landing, the suborbital 1st stage will perform a number of maneuvers to bleed off airspeed, the vehicle will be guided by mission control and will utilize the local conventional air traffic control infrastructure to land at a suitable spaceport. The business aims to develop and deliver small commercial orbital payload launch services. The delivery of these services will be conducted through a growing number of strategically located spaceport operations centres worldwide. The first of these will be at Prestwick in Scotland and, subject to licencing, Luqa in Malta. Agreements in principal are in place or in negotiation to extend these to include Newquay (the other UK spaceport site), the Cape Canaveral Spaceport at Kennedy Space Centre in Florida, the Houston Spaceport at Ellington Field Texas close to the Johnson Space Centre amongst others. The Orbital 500R system is a globally deployable launch platform that provides cheap access to space that is dedicated to the commercial small satellite market; proven viable with a price point of $30,000/kg. Orbital Access is engaged with launch sites around the world to build a global network providing access to all orbit inclinations. The reusable 1st stage spaceplane lands at traditional runways and is easily maintained at suitably licensed existing airport infrastructure; this allows the 1st stage spaceplane to be easily retrieved and transported for a quick turnaround. The launch system will be ITAR free which provides shorter navigation through the regulatory environment, reducing the times between launches. The 1st stage suborbital spaceplane is a multipurpose platform that is equipped with a customizable payload cartridge. Prior to a launch mission, consumers can have their desired payloads pre-fitted and prepared in cartridges within their satellite manufacturing facilities and clean rooms; sealed in a cartridge, the payloads can then be easily transported to the relevant spaceport to meet the Orbital 500R before takeoff. By preparing missions in parallel, globally much higher launch rates are achieved thereby reducing launch costs. The Orbital 500R is the first step in a development roadmap that will meet the changing market trends. By 2022, the Orbital 500R will have served as the SABRE (Synergetic Air-breathing Rocket Engine) air-test platform, helping to prove the propulsion technology. The integration of propulsion systems such as the SABRE concept will result in refined, more capable and efficient launch systems; this will lead to TSTO and SSTO systems that are able to achieve higher thrust at higher altitudes for the same weight penalty. Building the right partnerships with Tier 1 aerospace companies, including those who air-breathing propulsion systems, will allow the development of multiple orbital spaceplanes that can meet the market demand. The Orbital Access financial plan is dominated by the progressive execution of the Orbital 500R development programme. This project escalates financially with each subsequent stage as technical uncertainty is eliminated and the mature design emerges. These stages are supported by matched agency grant funding. The plan reaches a development peak in year 3 with the launch of the principal development phase associated with an intended UK launch aid supported detailed design, prototype manufacture and flight test programme. Budgeted overall at £450m with 50% grant / aid matched by some £225m in addition equity/debt funding the company will initially pass development expenses through the P&L. With the completion of the development and the launch of commercial services Orbital Access turns cash accretive with each launch predicted to yield some £4.8m per launch in gross margin contribution. 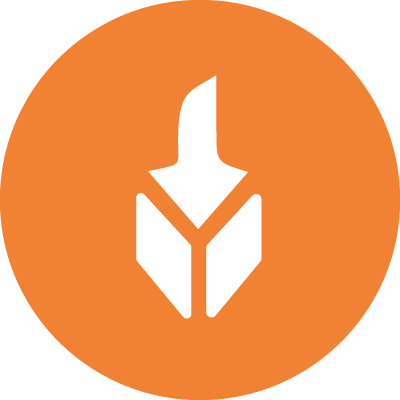 With launch rates by 2027 reaching 24 per annum this generates over £60m in EBITDA. OAL (Orbital Access Limited) will utilise its Services subsidiary for the delivery of launch services. It will contract directly will launch customers. These may be private corporations, agencies or Government actors. OAL will use the services of major launch payload brokers around the world to offer launch capacity to customers and to broker spare capacity. OAL will seek to secure an initial launch orderbook through close collaboration with the UK and European Space Agencies. OAL will target existing and emerging constellation programmes to secure further launch orderbook. The promotion of these services will be conducted at the established trade meetings globally for such players. Harnessing principal Tier 1 aerospace partners and a broad based technical supply chain to deliver the space launch system technical development. Developing a progressive financing model to underpin each stage of the space launch system and business development. Securing the premium locations and national relationships globally from which to deliver the services and provide access to launch demand. The business will scale through the introduction of additional launch sites in alliance with an increasing range of national space agencies. These relationships will position OAL to offer services to satellite manufacturers and developers in each relevant geography. The process of expanding the route to market will depend on many factors, not least securing permissions for launch within the context of MTCR. To support this OAL will target initial operations in UK, Europe and the USA and then broaden the offering globally with the support of the principal UK, European and US authorities. The principal system element that will be subject to close control is the first stage vehicle. The structure of the service, with the payload cartridge and upper stages able to be prepared independently of the first stage vehicle, allows preparation and integration centres to be established widely and for the first stage vehicle to be brought simply to service the launch when the cartridge is ready. This supports the rapid scaling of the service. The system concept targets a nominal mission of carrying a total of 500kg (e.g 3 x 150kg 1m/1m/1.2m payloads plus 50kg ancillary equipment) to 650km LEO at an 88.2º inclination. A stretch target of 150kg of payload to the OneWeb final orbit altitude of 1,200km and 88.2º inclination is also specified. This range of capability therefore means the system can address the major part of the forecasted small payload market. Orbital Access Limited will contract directly will launch customers, including: corporations, agencies or Government actors. Orbital Access will use the services of major launch payload brokers around the world to offer launch capacity to customers and to broker spare capacity. An initial launch orderbook will be created from close collaboration with the UK and European Space Agencies. Orbital Access will target existing and emerging constellation programmes to secure further launch orderbook. In the modern era, the rapid evolution of sophisticated, high power computing technologies, miniaturised circuitry and processors, exponential growth in communication transmission technologies and bandwidth, and latest high tech optical sensors and solar technologies are driving the emergence of a new global commercial space industry. This new industry is dominated by the emergence of the small highly capable commercial satellites and the rapid expansion of space-based service delivery to every aspect of human life on earth. The emergence of this commercial “New Space” sector is characterised by demand for highly responsive, lower cost access to space and the emergence of the horizontal small payload launch sector and the development of commercial spaceports from which such services can be delivered. The Orbital 500R will the first system to permit high cadence small commercial payload launch from the emerging national horizontal launch spaceports being developed globally. This is a principal capability to meet the accessible, rapid and low-cost access to low earth orbit required by the new commercial space sector. There is a clear unmet market in the UK for small payload delivery into Low Earth Orbit (LEO). The Orbital 500R is targeted especially at the payload categories produced by SSTL and Clyde Space and their equivalents globally. Both these companies have supported the development and specification of the system. The nominal mission is based on the Airbus designed and Manufactured OneWeb satellite class which Airbus DS are now offering to the world market as a generic platform for a wide range of missions. The system therefore is suited to the broad majority of emerging small payload launch needs. In addition to GPS and UK operations OAL have MoUs with Space Florida / Cape Canaveral Spaceport (signed) and Houston Ellington Field Spaceport (final draft) aiming at establishing launch operations there to service US demand. Developing operating establishments at strategic global locations and with major national space agencies is an ongoing OAL activity. The goal is to fund the next development phase of the Orbital 500R launch system. Orbital Access Limited is supported by the European Space Agency to deliver the Joint Definition Phase that will detail core technical elements of the launch system, this equates to €1m provided by ESA that requires match funding from Orbital Access Limited. 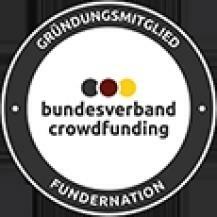 Any proceeds during this campaign will be used to reach the €1m match funding target and fund OAL operational expenses. During the development of this product, the FSPLUK consortium employs the following programme structure that is partly influenced by the European Cooperation for Space Standardization (ECSS). Since 2015, throughout the development of the Orbital 500R, there has been a growing network of partnerships used in building the knowledge base required to develop the Orbital 500R both in and out of the FSPL consortium. Orbital Access obtained partnerships with major industrial companies such as BAE Systems, Reaction Engines Limited, Yuzhnoye, Space Florida, Cape Canaveral Spaceport, Houston Ellington Field Spaceport, Telespazio Vega, Clyde Space, Surrey Satellites Limited, UKSA and ESA. By the end of 2016, Orbital Access and the FSPL consortium had completed the Feasibility Phase of the Orbital 500R to outline key technical areas including the commercial viability of the launch system; this was successfully supported by the UK Space Agency. Shortly thereafter, the follow-on design phase was successfully funded by ESA and is on target for the early 2018 completion date. Follow-on contracts from ESA are in final negotiation which will pave the way for the full joint definition stage launch on completion of this funding round. (target case) 59% IRR (internal rate of return) p.a. (base case) 30% IRR (internal rate of return) p.a. All rewards above + A1 poster + Preferential ICO subscription tokens. All rewards above + Launch event tickets + Space Gin. All rewards above + Credits inclusion + Free launch video documentary. All rewards above + Exclusive 3d Model + Investor events. All rewards above + vehicle branding + Naming rights. All rewards above + Launch documentary participation + Launch discount voucher + Naming rights sponsorship. All rewards above + Documentary rights + Payload in space.